On one day every year, a glutinous staple of Parisian cafés reigns supreme across the Greater Montreal area and across the province of Quebec. That day is called Fête du Croissant --French for Croissant Festival-- and it's become a spring fixture in the city since its mouth-watering inception in 2012. In 2018, the croissant festival runs Saturday, April 28, 2018, where over 75 participating bakeries across Montreal and the whole province of Quebec sell freshly-baked regular croissants all day for $1.25, a significant drop from the regular price which in some cases can reach $2. To find out which Montreal, Laval and Quebec bakeries are participating in this year's croissant festival, consult the Fête du Croissant website. The idea for the event originated from Montreal pastry chef and chocolatier Franck Dury-Pavet of Plateau neighborhood bakery Fous Desserts, a professional with 30 years of experience in the field motivated to reacquaint the populace with the venerable pastry's artisan roots and flavor. That Dury-Pavet conceived of the festival is no surprise. In 2011, his croissants were declared the best in Montreal by La Presse, the second most popular newspaper in the city. 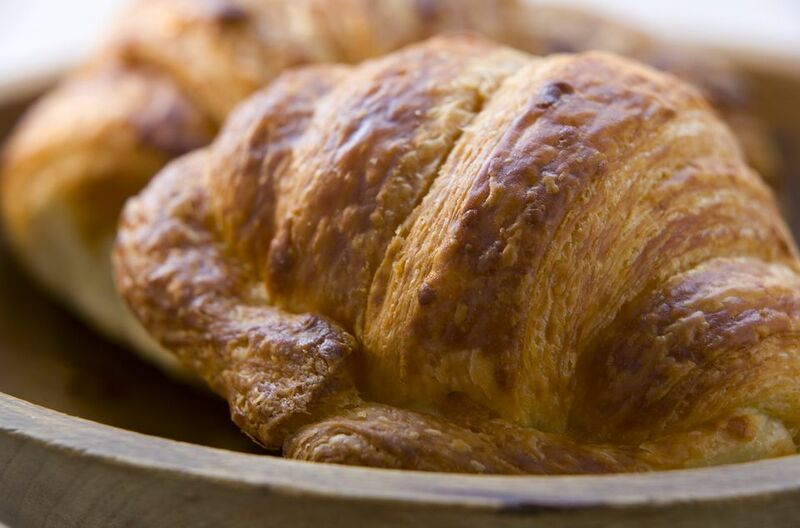 Dury-Pavet is especially insistent on noting the remarkable difference in taste and texture of croissants made with butter, and in Dury-Pavet's case, locally sourced artisan butter. Try it for yourself. Buy croissants at one of the Fête du Croissant's participating bakeries and then compare them to those baked with cheaper butter substitutes found in supermarket-sold facsimiles, ingredients like palm oil, soybean oil, canola oil or even margarine which have arguably become the norm for pastry confection outside of small-operation bakeries. Given that some of the city's finest bakers participate in the event, you'd be hard-pressed to find a dud. But for those new to Montreal insistent on guidance, the obvious first choice is Fete du Croissant founder Dury-Pavet's Fous Desserts on Laurier Est in Montreal's Plateau neighborhood. Among personal favorites, having sampled the goods from several bakeries across town, include the best croissant experience I've ever had, piping hot buttery specimens straight out Les Co'Pains d'Abord's oven on Rachel Street near the corner of St. Denis on the Plateau. Another choice location is Duc de Lorraine, a charming Parisian style café of walking distance from St. Joseph's Oratory.